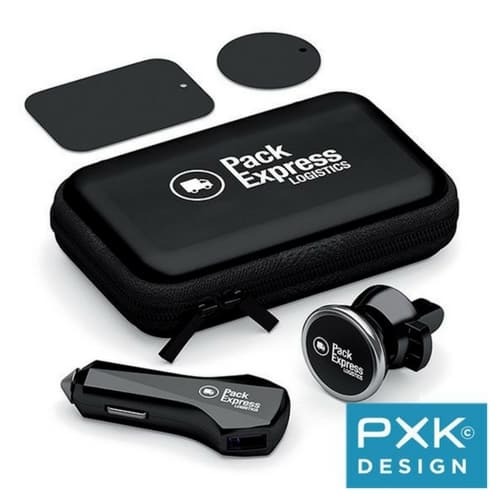 This GPS Smart Car Kit offers the latest in travel tech products in one set. It comprises a Smart Car Tracker, which uses GPS to locate your vehicle, and can charge up to two devices at once. The GPS Smart Car Tracker can help locate their car in those multi-storey airport car parks, keeps them hands-free, and keeps your branding and message in front of the user every single day. It also includes a Magnetic Phone Holder with Clip that can be adapted for all car models. The products come in a semi-rigid pouch made with ultra-resistant EVA. 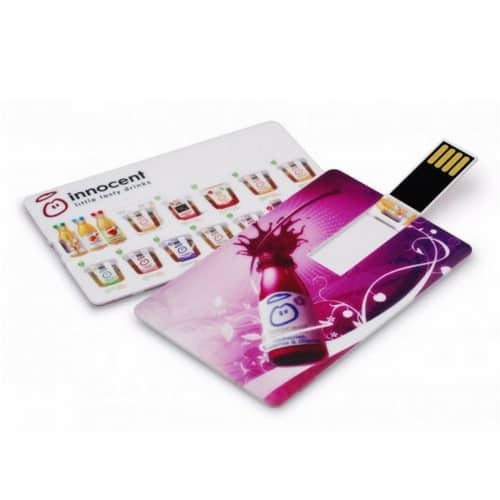 Both the product and packaging can be branded onto with a company logo or message making for a very distinctive promotional product. 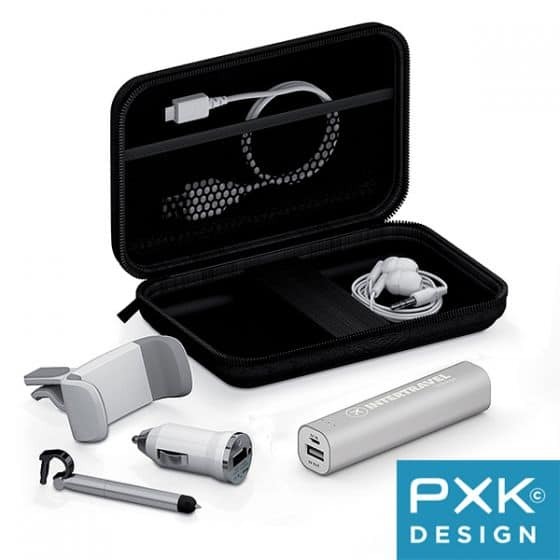 PXK Design is recognised for its expertise in innovative promotional tech products. This is a great product to give to both your staff and to your customers.